The following is an excerpt adapted from my doctoral dissertation (Inglebret, 2001) that holds relevance to curriculum designers, teachers, and students desiring to honor tribal legacies. Accessing cultural resources (primary sources) in a particular community provides the key to designing teachings (curriculum units) that honor tribal legacies. 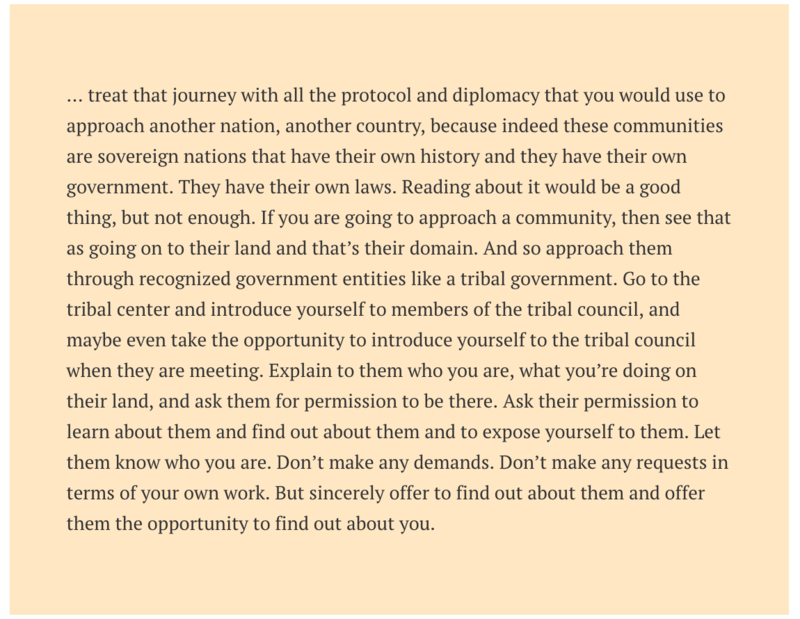 My colleague and mentor, CHiXapkaid, traditional bearer for the Southern Puget Salish peoples, provides the following advice. It can be seen that the sovereign status of American Indian Nations should be recognized when accessing cultural resources for inclusion in teachings. Many tribes have a culture committee that is specifically charged with overseeing use of cultural resources, inclusive of Indigenous languages. Access and use of cultural resources will involve collaboration with this committee. 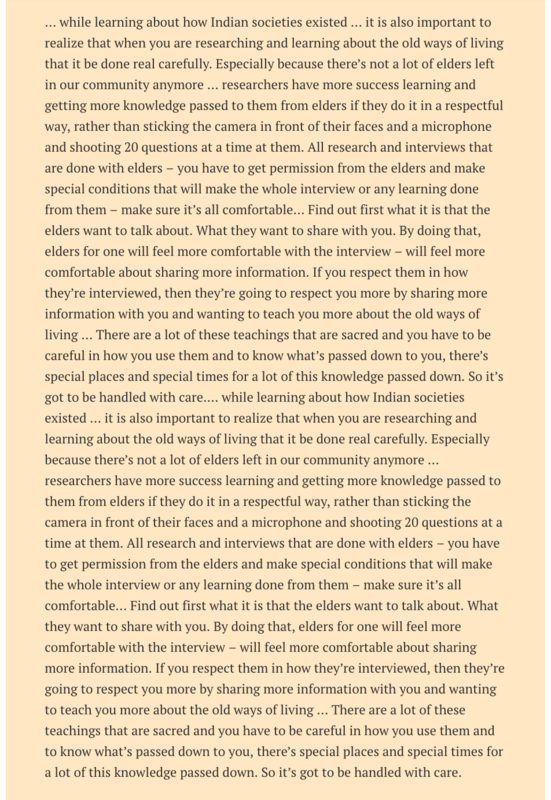 This statement highlights some factors to consider when gathering cultural information from elders. It also introduces the concept of sacred teachings and the existence of boundaries related to the acquisition and use of Indigenous knowledge. Tribal community members have emphasized the need to respect cultural boundaries. The existence of “private knowledge” that was not to be shared was acknowledged. Specifically, it was stated that Indians “don’t want to share certain things with people.” Among these, religion, spiritual concepts, and activities associated with the smokehouse were considered sacred and out of bounds. It was pointed out that teaching of some content material should only occur within specific time periods, in specific contexts, and only via certain people. Thus, an important facet of curriculum design is to ask questions, such as “What should be taught?”, “What should not be taught?”, Who should teach it?”, and “Where do we draw the line for public school teachers?” It was evident that care must be taken in the process of accessing, as well as in using cultural information, so that respect is shown for underlying cultural beliefs.